Florida-based company GARCELL’S WALL DECOR is a new family branch of the home improvement company Garcell’s Interiors. Garcell’s Interior has been in business since 1978 and has already established trusted name when it comes to home improvements. 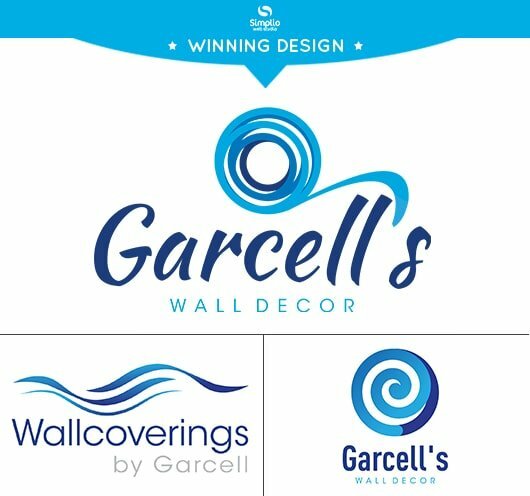 In order to create a unique branding for their sub-company, Garcell’s Wall Decor, the company commissioned Simplio Web Studio to make them the perfect logo design to represent their brand. This logo will be used on social media (IG & FB), business card, and shirts. The client wanted a clean, simple but modern and artsy-looking logo that uses blues and white colors. 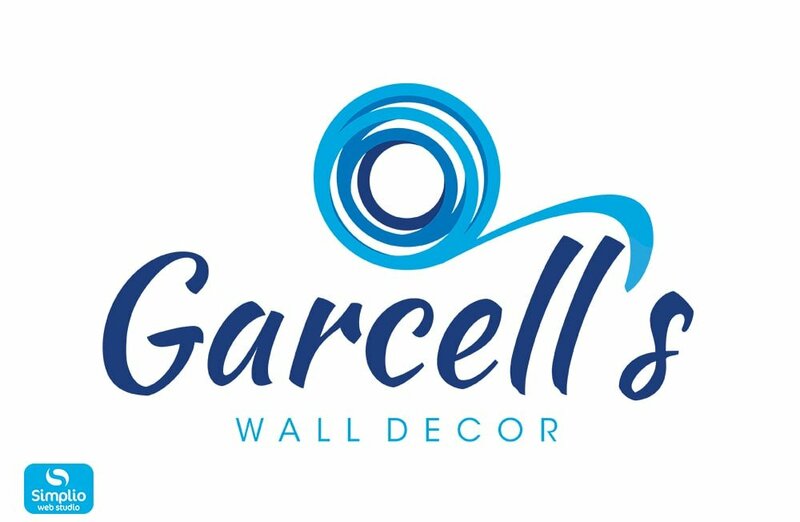 The final logo design features the Garcell’s Wall Decor’s company name with a symbol of a “roll of paper” on top of it. The roll of paper represents the wallpapers and wall decors the company is selling.